The Arabian Horse Foundation is celebrating its first decade of supporting equine veterinary research, and the results from this effort are having an impact.The Equine Research Program is committed to aiding projects directed at improving equine health, with a focus on issues of particular interest to the Arabian breed. During the last 10 years, the Foundation has provided $75,000 in funding for a variety of projects, including collaborations with some of the top veteri- nary research programs in the world including: UC Davis, the University of Florida, Cornell University, and the Morris Animal Foundation. Even with an extremely limited budget, the Foundation has been successful in not only supporting, but also moving forward, important research in genetic conditions affecting the Arabian horse. In 2007, when the Foundation added the research arm, the test for Severe Combined Immunodeficiency (SCID) was the only genetic test available for Arabians. Since that time, the Foundation has been involved with studies that have resulted in the development of direct DNA tests for Cerebellar Abiotrophy (CA) and Lavender Foal Syndrome (LFS). Through commercial availability of these two tests, the UC Davis Veterinary Genetics Laboratory and the VetGen Laboratory com- bined have tested over 13,600 horses for CA and more than 4,300 for LFS. In 2017, none of the horses tested at either lab were CA or LFS affected; a strong indication that breeders are utilizing genetic testing as a tool to help prevent the production of affected foals. The Foundation has also funded studies inves- tigating the genetic basis of Juvenile Idiopathic Epilepsy (JIE), Occipitoatlantoaxial Malformation (OAAM), Equine Metabolic Syndrome (EMS), and equine melanoma. on identifying the mode of inheritance and mutation(s) associated with JIE; with the goal of developing a genetic test to assist breeders in managing their breeding stock. Preliminary data suggests that JIE is due to more than one site in the genome; which may explain the wide range of severity exhibited by foals with this condition. To identify these genetic regions, the project is in desperate need of additional samples. 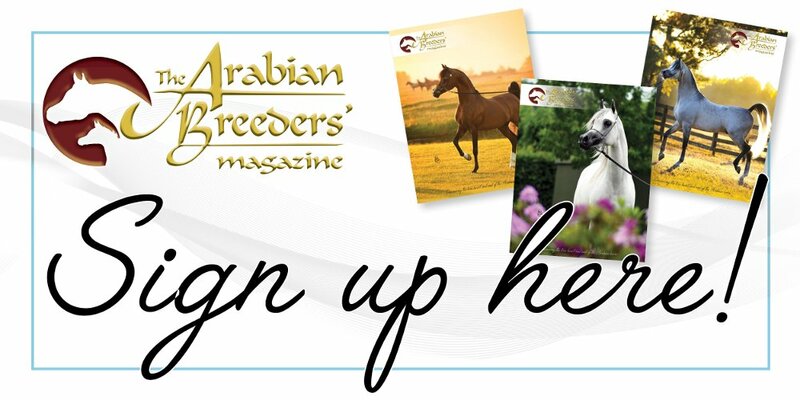 The Foundation is grateful for the interest and participa- tion from breeders around the world, and further assistance from the Arabian horse community is requested. DNA samples are needed from horses that have been previously diagnosed with JIE, as well as horses that have had an off- spring with JIE. All studies are confidential, so participant and horse identity will not be released. Please contact the Brooks Equine Genetics Lab for more information: phone (352) 273-8080 or email, equinegenetics@ifas.ufl.edu. Occipitoatlantoaxial Malformation is a neurologic disorder caused by a malformation of the skull and first two cervical vertebrae, resulting in spinal cord damage which leads to varying levels of incoordination and weakness. To support expansion of work previously done by Dr. Finno in identifying the HOX mutation associated with OAAM1, the Foundation has provided project funding aimed at determining additional mutations associated with other forms of OAAM. The goal of the project is to develop additional genetic tests to assist breeders in identifying carrier breeding stock. Current work on this project includes whole-genome sequencing from two Arabians and one Arabian/Appaloosa cross that were affected with OAAM but did not have the OAAM1 mutation (DNA was also sequenced from their dams.) Based on the results from this sequencing, two variants are being further studied as possible additional mutations for OAAM in Arabian and Arabian-crosses. While OAAM is presumed to be inherited as an autosomal recessive disorder in Arabian horses, different mutations appear to be involved. “OAAM demonstrates genetic heterogeneity, or different mutations that lead to a similar clinical picture. While all three affected Arabian/Arabian-crosses had evidence of malformations at the base of the skull and first cervical vertebrae, there were variations on the presentation. One full Arabian was never able to stand and had an additional malformation at the fourth cervical vertebrae. The second full Arabian also never stood, but the abnormalities were restricted to the base of the skull and first cervical vertebrae. The Arabian/Appaloosa cross had difficulty getting up and a large swelling on the right side of his neck. In this colt, the second cervical vertebrae had rotated 180 degrees. With research on OAAM having been essentially non- existent since the 1980’s, having a researcher interested in studying this condition is a tremendous opportunity for the Arabian breed. As part of this study, Dr. Finno is interested in obtaining additional DNA samples from OAAM affected horses, as well as unaffected relatives. Interested owners should contact Dr. Finno at cjfinno@ ucdavis.edu for further information. The Arabian Horse Foundation thanks all its donors, as well as the owners who participate in the studies, for their ongoing support. Without it, these projects would not be possible. Whether it is a little or a lot, every donation matters; even $5/year from each AHA member would greatly increase the funding base and the scope of supported studies. Tax-deductible donations can be made by using the donation check box on the AHA membership form when renewing or joining. Donations can also be made online with PayPal or credit/debit card at the Foundation’s website, thearabianhorsefoundation.org, or by sending a check to the Foundation’s Treasurer at 1024 K Street, Lincoln, NE, 68508. Donors can also designate their funds to a specific area of Foundation activity, such as research. Additionally, donors can designate the Arabian Horse Foundation as the charity they would like to support when they buy through Amazon at Amazon Smile, and a portion of their purchases will go to the Foundation. Beth Minnich has served as Chair of the Arabian Horse Foundation’s Research Advisory Panel since inception of the research program in 2007. A graduate of the Colorado State University Equine Sciences Program, Beth has had a long- standing interest in equine veterinary research, with a particular focus on genetics. She has served as a member of the AHA Equine Stress, Research and Education Committee, and as Chair of the AHA Presidential Task Force on Genetic Diseases. Originally published in Issue 6, 2018 of Arabian Horse Life. Reprinted with permission.